Teresiah went to bed with an empty stomach many nights. Her parents are mentally challenged and unable to care for her. Living with her elderly, blind grandmother and lacking money for tuition, she often missed school and had many needs. 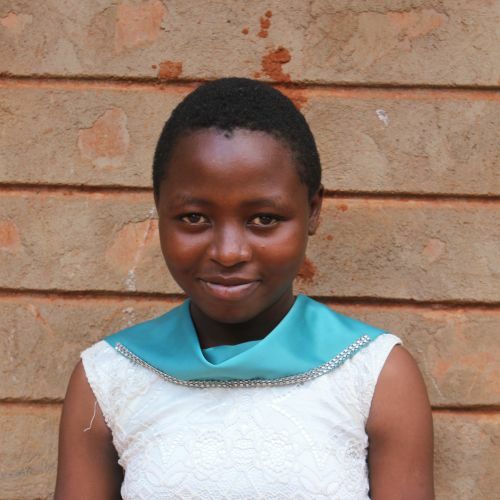 But now at Kids Alive, she has consistent care and a good education! She loves playing outside with friends, and fetching firewood is her favorite way to help.